I’ve been singing Makita’s praises for providing so many helpful farm implements on their battery powered platforms for years. 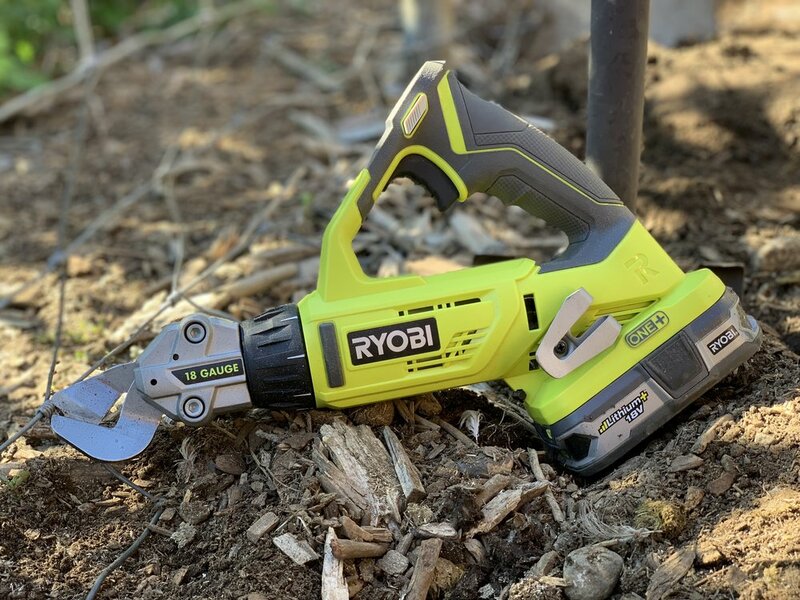 Ryobi has provided me with two GAME CHANGER tools on their battery platform this year- first, with the 40v Weed Whacker (don’t even get me STARTED on the frustrations of dealing with small engines around the farm in the Seattle rain), now with these shears. When stringing fence, these things were the handiest tool I’ve come across in a WHILE. We use 2”x4” galvanized livestock wire all over the farm. These Ryobi shears whiz right through the stuff. I used to snip every single wire individually, which is extremely time consuming and makes for a major hand-ache. This tool has single-handedly cut fencing time and frustration in half. These shears are also geared well toward cutting sheet metal, but I’ll be honest, figuring out the proper jaw angle and width for the tool to work properly is a bit tough. If cutting sheet metal was my main goal, I’d be inclined to look at other options. This tool retails for $79. Would I buy it? This tool is yet another instance of the battery costing more than the tool itself, but, especially for those caring for any amount of property, between the weed whacker and these shears, these tools have more than proved their value around the farm and I’d recommend both highly. The 18V 6 AH Battery on the Ryobi platform really packs a punch. I use it in my weedwhacker and get an amazing life out of it. The power indicator on the front of the battery is great because I can always check and make sure I’ve got juice before carrying it out to the jobsite. As is the case with every battery platform though, it’s pricey, so make sure you’ve got enough tools you’re running on it to make sure you get your money’s worth. Posted on October 22, 2018 by Anne Briggs and filed under Tool Reviews.